As one of the bastion of the old guard in the world of video games, Blizzard Entertainment had always found immense success by sticking to the tried and tested – although it’s worth noting that Blizzard did break the mold by incorporating their existing IPs into games radically different from their original, e.g Warcraft lore into Hearthstone which is Blizzard’s take on trading card games and literally every single Blizzard franchise into Heroes Of The Storm which is their venture into the three-lane highway. 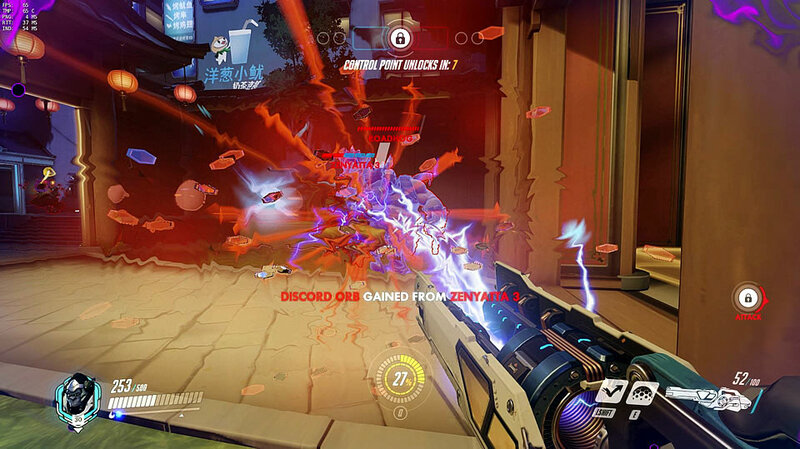 Blizzard shocked the world with the unveiling of Overwatch during Blizzcon 2014, it would be an all new original IP and their latest foray into the lightning quick world of team-based shooters. 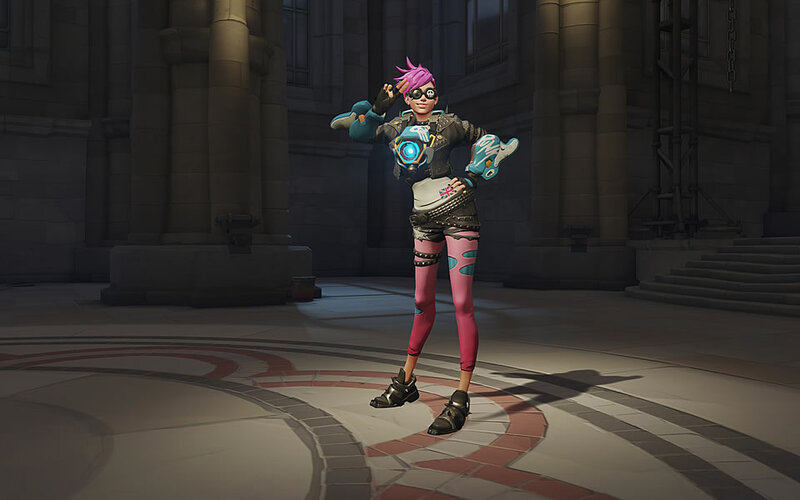 It was also announced that the game would be helmed by Blizzard veteran Jeff Kaplan. Just like with every single new IP, there were skeptics who were unsure of Blizzard’s ability to carve out a niche in the overcrowded shooter market. These skeptics were not wrong as Blizzard games have always been about witnessing the action from a higher perspective, a godlike viewpoint if you will, so the announcement of a competitive team-based shooter was truly shocking, to say the least. 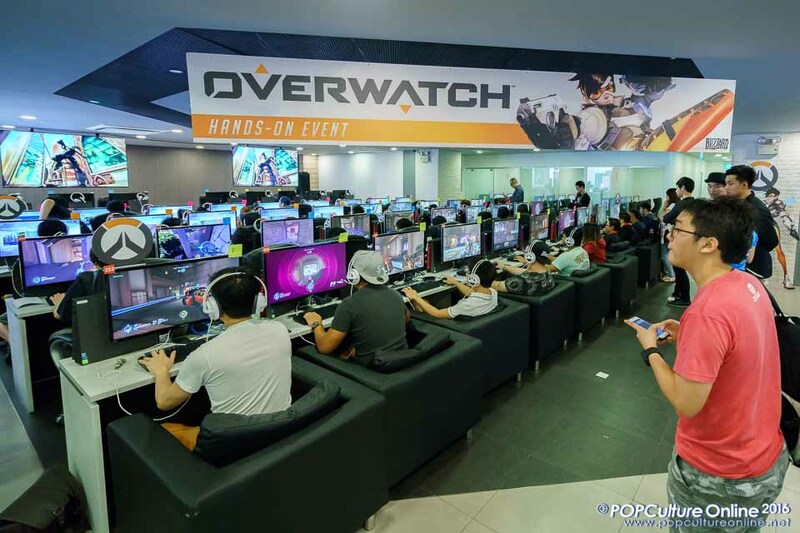 2 years later and Overwatch is coming close to fruition, Blizzard held an exclusive hands-on event over at the OASIS Cafe in POMO. Eager fans came from all around the island and the queue snaked all the way from B1 (where OASIS was) to the first floor of POMO. Despite the snaking queue, spirits remained high as strangers became friends onboard the Overwatch hype train. We were actually lucky enough to be invited to a VIP session earlier in the day to try the game out for ourselves and we were definitely not disappointed. The build we played was from the currently on-going closed beta. This latest version of the game included several new additions and tweaks into the game which drastically altered the game, albeit in a good way. Player progression has been overhauled to accommodate the new cosmetic items added into the game. Players would now gain levels by earning experience points which are earned by completing matches (the player must see the game through until the end) and the amount earned would be determined by several factors such as in-game participation and commendations you receive post match. It is also worth noting that non-combative deeds would net you the equivalent amount of points as offensive actions so a first-rate support or tank would receive the same or even more points than your friendly neighborhood offensive and defensive characters. Currently, the only two game modes net you experience points are Quick Play and Play VS A.I with the former netting you significantly more points due to the higher difficulty level. One of the newest addition was the inclusion of a Player Vs A.I mode which substitutes opposing and even your own team mates for A.I controlled bots. The option would allow new players to ease into the mechanics of the game in a less nerve-racking environment, instead of jumping straight into the gauntlet of competitive PVP. Control game mode is the newest game mode introduced in the beta, the mode removes all forms of gimmicks and just get right down to the action. Two teams would fight over objective areas in a best of three rounds format. Each round would be its own self-contained area of the same map. The objective of the map is to secure and capture the designated objective area, once secured, the controlling team would make progress towards fully capturing it. The first team to fully capture the objective wins. The new control game mode is as close as one could get to a traditional deathmatch mode as the objective in its purest form is to clear all enemies from the objective area and prevent any more from entering. The pace of control was significantly faster as players from both teams now converge on the objective in a brutal melee to progress towards victory instead of the methodical push and pull of Payload and Point Capture. To accommodate the new control mode, 2 new maps were added in the beta: Lijiang Tower and Nepal. 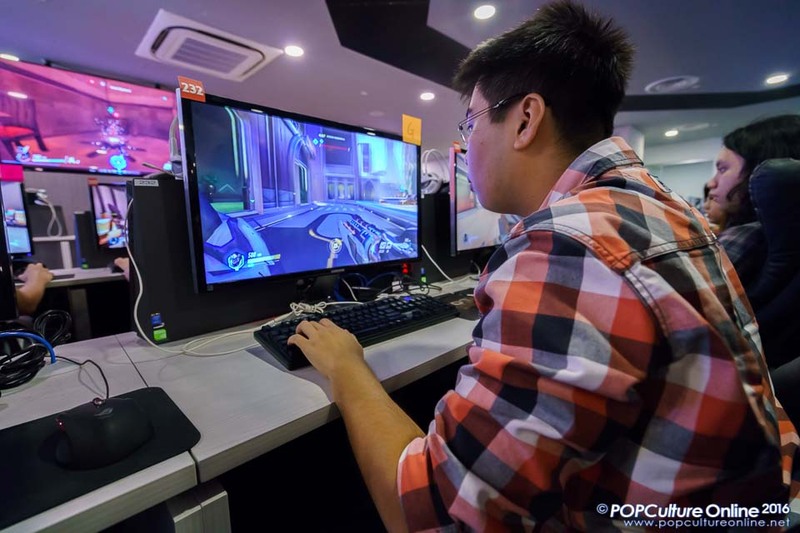 Lijian Tower is Overwatch’s take on a Chinese metropolis with busy streets lined with stores and neon lights. Nepal features a combination of picturesque mountains and temples but don’t be fooled by its aesthetics, the map hides tight corridors that lead to wide open arenas where a single step could lead you to salvation in the forms of a health pack or a hornet’s nest of enemies. Blizzard’s latest foray into the competitive team-based shooter looks to set the world of shooters on fire; with a serious emphasis on E-Sports and franchise longevity, Overwatch looks to join the pantheon of Blizzard’s legendary franchises. Overwatch is slated for a May 24th release while an all-access open beta would be held from the 5th to the 9th of May. Players who pre-purchased would get early access to the beta which would start from May 3rd.